Schools see children through their educational years and provide the resources necessary for learning in a safe, comfortable environment. Part of this includes providing a space for children to let off steam, socialise outside the classroom and take a break from the usual learning environment. Without sufficient variety, children can struggle to remain focused, which can lead to reduced interest in their education. With over 45 years in school playground design, Kompan can not only provide your school with an area of play to encourage activity, socialisation and inclusion, but we can also show you how to make the best use of your available space and offer cost-effective playground equipment and installation. Kompan has been responsible for designing school playgrounds for a range of age groups, from early years and primary schools right through to Universities and Colleges. 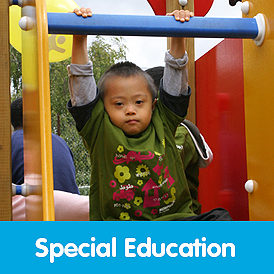 We can cater to a wide range of abilities, including special education needs, and create a playground that welcomes all children to play and learn together. At Kompan, we believe outdoor play is essential to the wellbeing of children and with an activity-filled playground, it gives plenty of enriching and exciting things for children to discover. A comprehensive playground design includes opportunities to climb, balance, and explore, as well as areas to gather and socialise with other children. 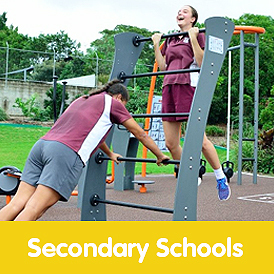 These types of activities contribute to a healthy and active lifestyle for children and promote an attractive school environment. Young or old, children love our playgrounds as they are inviting and offer plenty of new and exciting things to discover. Students can climb multi-level towers to look out across their imagined kingdoms or indulge in quiet activities playing with sand and water. Growing children can test their limits with challenging play equipment that incorporates balancing, problem-solving, and route navigation while offering a fantastic sense of achievement. For the children who just want somewhere to quietly sit, we can incorporate comfortable and fun break-out areas that encourage socialisation. Our installations are comprehensive, including safety fences and suitable flooring and floor markings, but there is more to designing a playground than simply filling the space with climbing frames and towers. 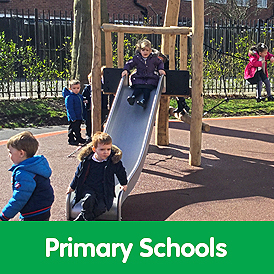 We ensure that our playground designs have a smooth flow from section to section and make the most of the available space for a cost-effective installation. In addition to providing mental and physical stimulation, our playgrounds help to build confidence from a young age as children independently explore in a safe environment. Meeting – An education expert from our team will visit you for an obligation-free meeting to discuss what you expect from your play area. 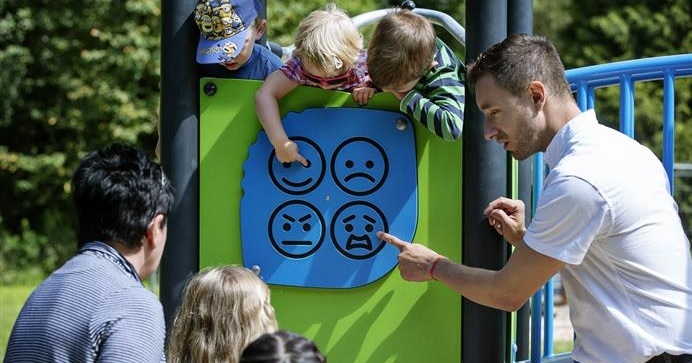 We will talk you through some previous project examples and show examples of both free-play playgrounds and those that incorporate learning solutions. At this time, we can talk about the types of play equipment you’d like to include, whether this is inclusive, accessible playground equipment, multi-level and elevated playground equipment or ground level activities. Proposal – Based on the discussions and agreements for requirements taken from the initial meeting, we will draw up a scaled proposal with all the necessary details. We understand that every school is different and every child unique, and our team will account for this in your design proposal. Pre-Install Meeting – Before we sign off and begin work in the designated area, we will meet up again with your faculty to finalise all the details and inform you of what the installation process will include. We can also agree and designate roles for parents and teachers who would like to be involved. Installation – Our certified playground install team arrive and proceed with installation of your new school playground, with the option for teachers and parents to join the install as part of a school community project. Our expert installation team are fully qualified in the installation of safe and durable school playground equipment, giving schools peace of mind throughout the lifespan of their new playground space. Select from the options below to see what we have done for other schools with your budget. From early years development and special education needs to providing an outdoor activity or sports areas for university students and adults, our design experience ensures that both activity and play remain inclusive, dynamic and enjoyable. 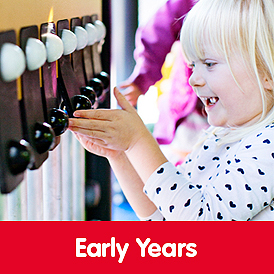 We endeavour to accommodate all budgets, offering more opportunities for children in schools around the country. Improve your school's outdoor learning environment today and encourage attention and attainment in your pupils with an exciting school playground design from KOMPAN.